Howdy. I've been busy. Busy with life. But, I imagine you have, too. I went out of town for several days (had a GREAT time) and then it was back to baking, crafting, cleaning, laundry, working, and taking care of my husband and dog. See, life. Now, I have returned to reality. The chores never stop, but moms know that. Once back home, I had to get busy with a few cupcake orders and the never-ending chores. I also wanted to get some crafts completed. I am working on an altered art piece. It's a wooden book-box. But, I needed some direction, so I headed over to Mojo Monday to get a sketch going. I loved their sketch so much so, that I actually used it for the cover of the box. (this sketch is expired) Here is what I made! I am using some 'old' pattern paper. I think, it may still be available at some on-line paper sources. The Rustic Elegance collection, by Carta Bella, is a beautiful mix of mint, blush, green, and neutrals. There are mixes of florals, chevrons, circles, text, and flourishes, with a country flair! Mason jars, bicycles, floral wreaths, wooden plank backdrops, and so much more! 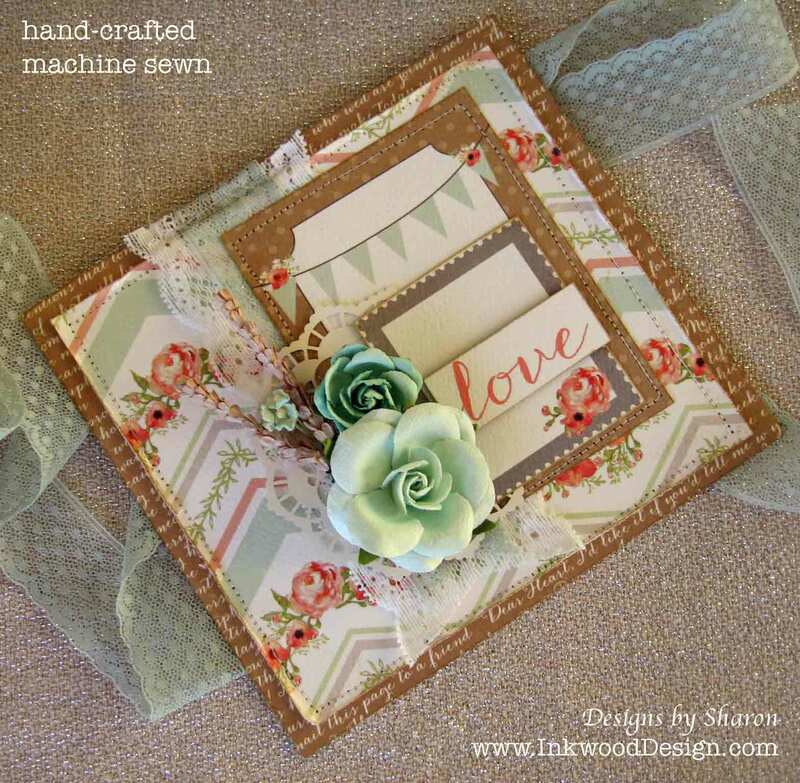 I used various pattern papers from this collection (Rustic Elegance) added a paper doily, some paper blossoms, and lace. I added simple machine stitching around two of the main pieces, to give it a homespun look. The sentiment 'love' is lifted off the piece with foam tape. I haven't yet, but I am thinking of adding some sparkle to the paper blossoms. I hope you have a great week! and Happy May Day!